April 21 - June 30, 2019 Roxy's Lounge Always Free Admission! Every Sunday at Roxy's! Never a Cover! You got to get down to the funky sound when Wonderboogie comes to town. So, dust off those platform shoes, slide into your angel flights, and let the polyester fly! Playing the best of everything 70's! 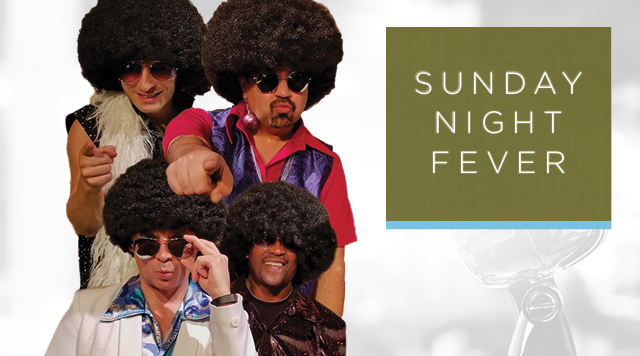 You get the funk, disco, and rock when you hang with the boys of Wonderboogie. The group consists of four band members dressed the part for their '70s genre show. Must be 21 years of age or older. Management reserves all rights.